Moyea Importer for Adobe Premiere is the choice plugin for you to import video to Adobe Premiere in more formats without transcoding The supported formats include FLV video with codec like H.264/AVC, H263, Nellymoser, PCM, MP3, AAC, the VOB video, MPG video, TiVo video, AVCHD video in MTS, M2TS format and HD video in MKV, TS, TP format, RM and RMVB video. With this import plug-in, your Adobe Premiere is more flexible for editing and composing. ...... You can also choose the version of Adobe Premiere to work with the plugin. The import plug-in now supports wide range of Adobe Premiere version for you to enjoy the flexibility on Adobe Premiere. The supported versions are Adobe Premiere Pro 1.0/1.5/2.0/CS3/CS4 and Elements 3.0/4.0/7.0/8.0. With Moyea Importer for Adobe Premiere, you can import video to Adobe Premiere directly. Moyea Importer for Adobe Premiere is a good partner for your video editing in Adobe Premiere with more input. * Import a wide range of FLV files with popular and special codec with fast workflow. * Support HD videos from AVCHD camcorder by JVC, Panasonic, Sony, and Canon. * Save time with direct import, instead of waiting for format conversion. * Include considerable setup wizard with detection on Adobe Premiere version. 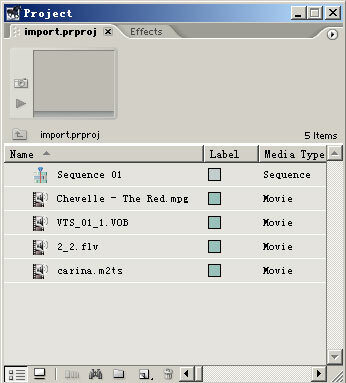 * Support FLV with Flash 8 and Flash 8 with alpha channel as import. Qweas is providing links to Moyea Importer for Adobe Premiere 3.0.1.0 as a courtesy, and makes no representations regarding Moyea Importer for Adobe Premiere or any other applications or any information related thereto. Any questions, complaints or claims regarding this application Moyea Importer for Adobe Premiere 3.0.1.0 must be directed to the appropriate software vendor. You may click the publisher link of Moyea Importer for Adobe Premiere on the top of this page to get more details about the vendor.